The market of printed books might still be strong and the rise of e-books might be slower than many expected. But printed papers and magazines already feel the heavy burden of the digital age increasing the more electronic mobile devices spread around the globe. As we still are in the early stages of this new – maybe the digital – century, this could be the adequate time to look back on an earlier transformation of the means we convey written information. A transformation that helped to shape the last 550 years: printing. Even when we read books or magazines on our digital devices, most of the time, they still mirror pages and printed structures. May the digital age be one of enormous pace, some cultural practices still take longer to change than others. With your tablet computer, your costly designed hardcover, and your paperback novel in mind, imagine that 600 years ago, a book was usually made from animal skin (both cover and pages) and had to be hand written. Picture, it would be your job to copy, say, the Bible, maybe ten times, and others should be able to read it. And even though books and written products were more widespread than we usually think, try to conceive of the sheer explosion of written language throughout Europe that must have occurred after the invention of the printing press. And how Gutenberg changed them! The time is around 1450, and on to the stage steps Johannes Gutenberg. To relieve you of your strenuous duties as a copier of Bibles, he, of course, made his breakthrough with printing and selling of Bibles. But, while created using a brand new technology, the books themselves were designed to pretty much look like a Bible the customers were used to. To be able to print series of different books, Gutenberg not only had to invent a moveable set of type, he also had to find a new kind of ink, as traditional water-based ink would not work in the printing press. What he eventually used was actually not ink, but varnish. In his inventions, Johannes Gutenberg drew inspiration and even borrowed techniques from the arts and crafts that surrounded him and his resident city of Mainz was fertile grounds for his undertaking. Not to take away from his well-deserved fame, but Gutenberg did, of course, not actually invent printing itself. There had been other forms before, but as his predecessors did not use moveable type, any mistakes made could not be corrected. 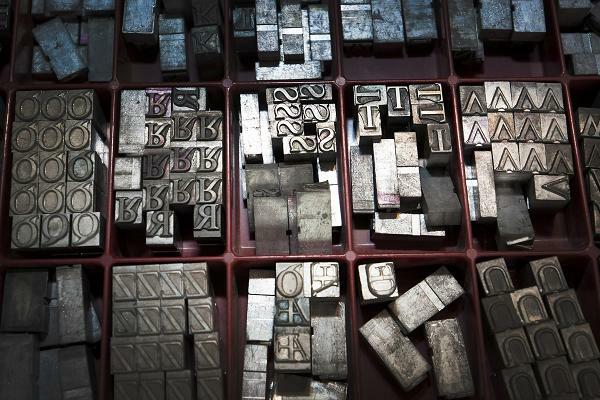 Gutenberg came up with moveable metal letters, that would be pressed onto the paper with the exact same pressure, resulting in a text that would be much clearer and even than handwritten words could ever be. This is another brilliant feature of Gutenberg’s idea of using a press. To use his invention he even had to overcome such hurdles as creating a multitude of absolutely identical copies of each letter of the alphabet, meaning: the different letters as well as all the copies had to have the same height if you didn’t want to risk damaging the paper. Further, using the printing press, one could make sure that the text would be printed in the exact same place on both sides of a page. Being a talented entrepreneur and salesman, as well as a great inventor and craftsman, Gutenberg not only helped to create the basis of our written communication, he also spread his works and thus the technology. What he sold were actually not bound books, but packets of loose pages. That is why most of the early printed books do not look alike.